“The World YMCA is focusing upon Youth Empowerment. 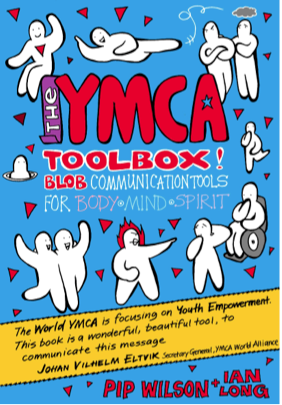 A massive collection,172 pages, of resources to use in YMCA's worldwide. You can purchase book and it will be delivered by post anywhere in the world. This version can be captured on your computer forever and each individual Blob Tool used as a projected image or printed. “Pip Wilson has been God’s gift to the YMCA for as long as I can remember. If he was not there, God would have had to create him! 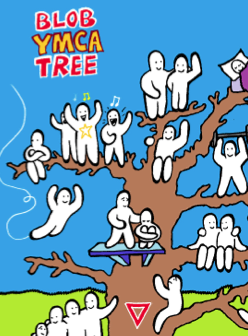 The Blob Tree is famous, the Blob Soccer Stadium as well. I have used them many times and enjoyed seeing what these Blobs do to groups of people. The interesting thing is that you can use them with business people as well as with pre-school kids. 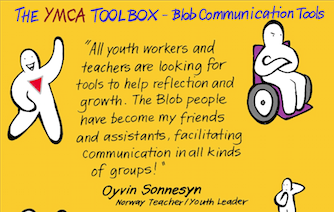 The World YMCA is focusing upon Youth Empowerment. This book is a wonderful, beautiful tool, to communicate this message. Author, Gamester, Trainer & Facilitator.